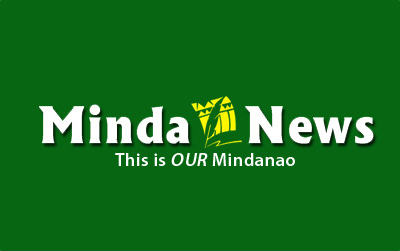 BERN, Switzerland (MindaNews / 27 Oct) — This year is the 60th year of diplomatic relations between the Philippines and Switzerland. We already know that, and many events of this year already highlight those official links between our two countries. But what about the non-official or to put it in another way, the people-to-people relations between the two nations? Are these informal links also as strong as the governments? Yes, is my unequivocal answer. And there are two existing NGOs that I can readily present as proof that relations between Filipinos and the Swiss are just as strong and committed. First is the Theresa Laden or “Theresa shop” named after the famed Mother Theresa of Calcutta. The founder, Monika Bauman, was a nurse for 20 years in the small village of Jegenstorf near Bern. In 1992, Monika was with a group of Swiss who were invited by Filipino NGOs as part of an international solidarity campaign for the Philippines. There in the slums of Manila and later in the countrysides of Mindanao, Monika and her friends found themselves face to face with the poverty of the Philippines. “And my first impression was, my god, those slums…I could not take it. How can it be possible that people have to live like this?”, said Monika in a recent interview with the Tambayang Pinoy Swiss or TPS. Twenty five years after, the little shop has grown into the Theresa Laden and the number of Swiss volunteers is now 20, all giving their work gratis. In the Philippines, it has about 30 NGO partners with four main NGO stations, in General Santos, in Davao, in Valencia, Bukidnon and in Cagayan de Oro. It supports farmers cooperative stores, a pharmacy in Davao for the urban poor, and cooperates with up to 30 schools in Davao including schools for the lumads or indigenous peoples. It has a website: www.theresaladen.ch.